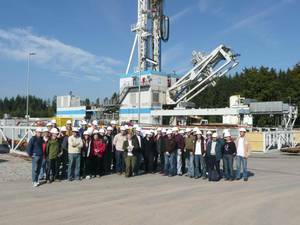 ICDP Training measures include annual courses that cover all relevant aspects of scientific drilling, including fundamentals of drilling technology, borehole measurements and interpretation, data management, sample handling and storage, and project management. Usually the training courses last one week and are free of charge for the attendees. Calls for application will be announced here and published in EoS several months before the training course takes place.